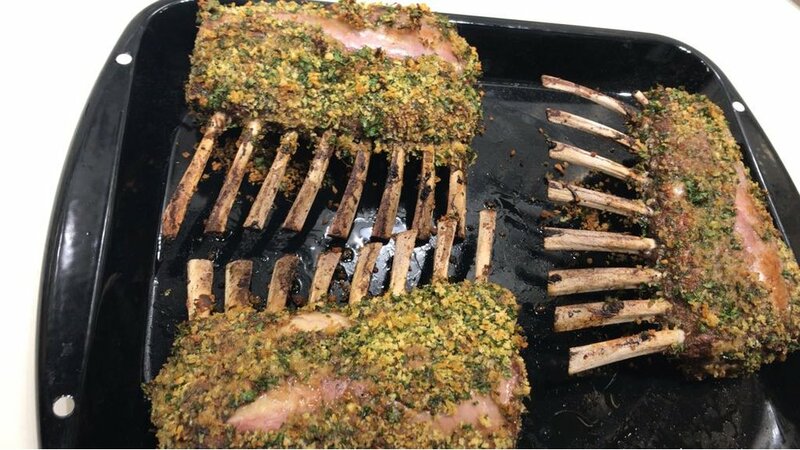 Join us here for a special “date night” in the Teaching Kitchen as we show you and your special someone how to create a meal and memories you both are sure to remember. 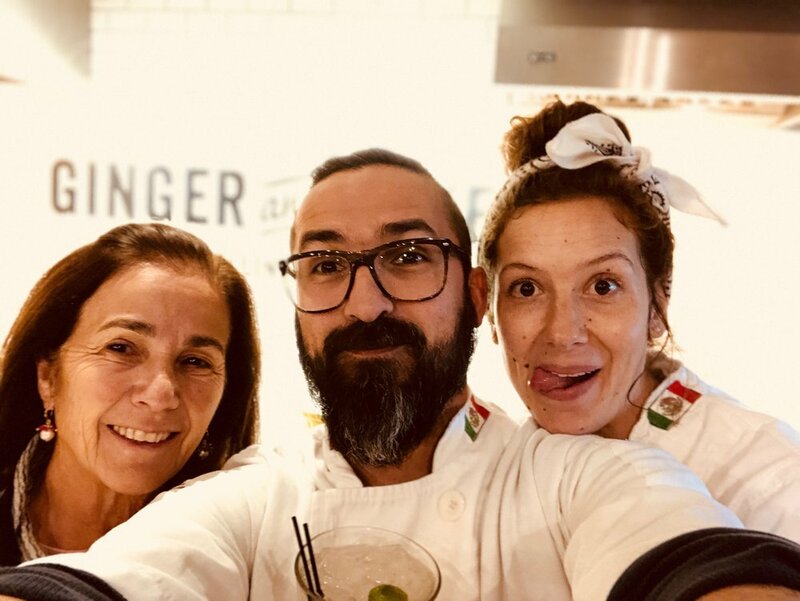 Settle in with a glass of wine or beer from our bar as you prepare an exclusive, custom four course meal designed by our fabulous guest chefs Juan and Juliana, of Juli y Juan’s Kitchen! 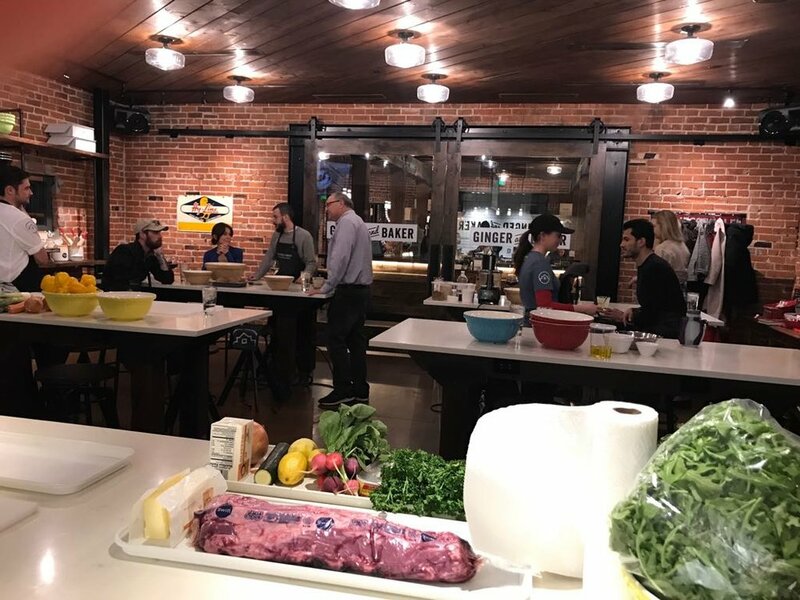 You’ll work together to create a delicious meal, getting tips and tricks from the chefs, then we will invite you to relax and unwind as we reset the kitchen to serve you the meal you’ve created. 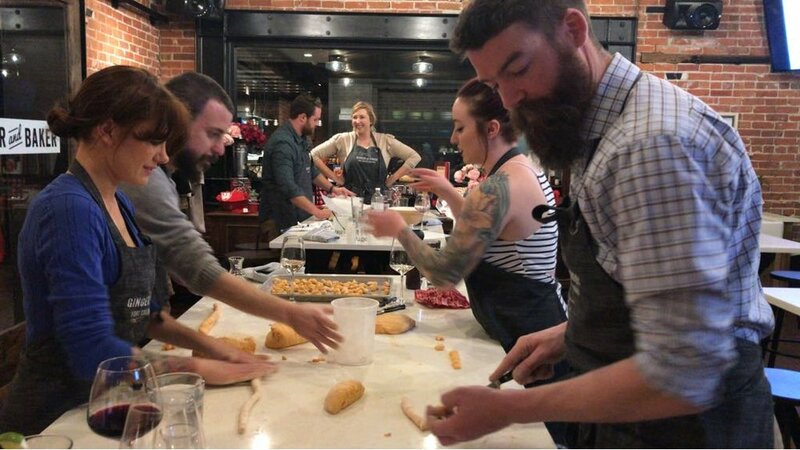 Dine as a couple, or join other couples in the class in a social, family-style meal, and enjoy a very special evening with us here at Ginger and Baker. Prices are per couple, not per person. Includes one cocktail per person, additional drink options are available for purchase from our bar. Participants must be 21+ with photo ID. We request that participants wear comfortable, closed-toe shoes. Please let us know if you would like to sit with a group. Registration closes at 5pm the day before the event. 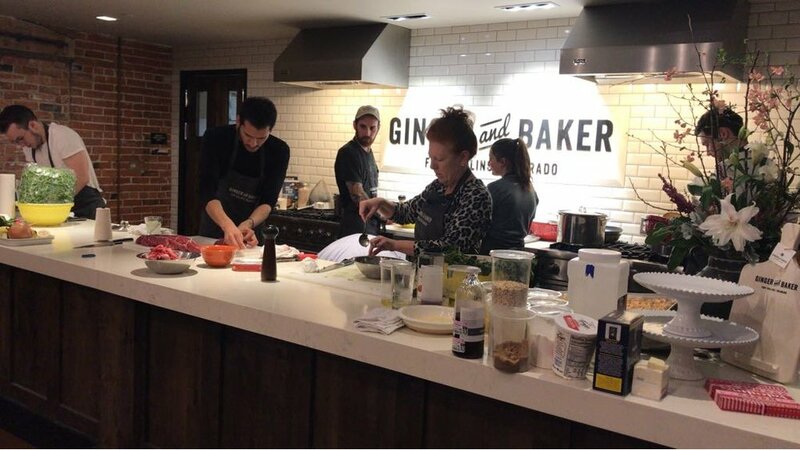 The cancellation policy for the Teaching Kitchen at Ginger and Baker allows for a full refund within 24 hours of a purchase and a partial refund up to 1 week before your scheduled class. Once within 1 week of your class, we no longer can offer refunds for cancellations, but can happily transfer your registration to a friend or family member designated by you to attend in your place.